High quality solvents purchased, tested and supplied to tightly controlled specifications, in pack sizes: 1, 5, 15, 20, 25, 120, 205, 1000 litres. Small bulk pump-over up to 5000 litres. 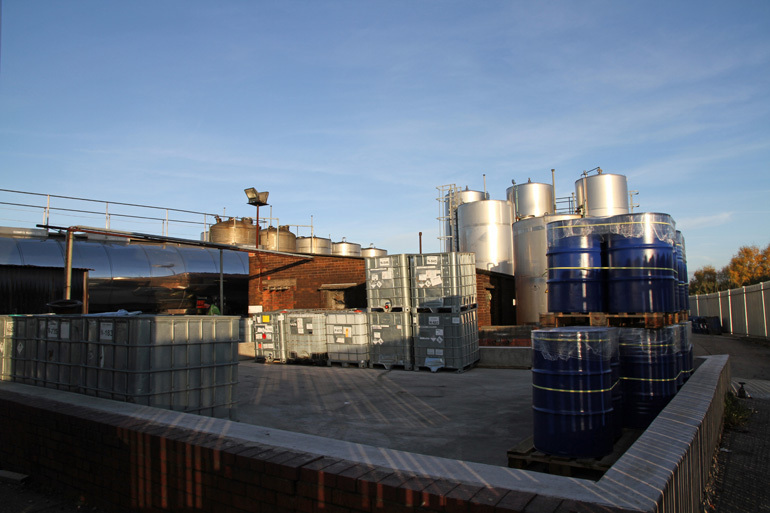 Industrial Solvents blended, tested and supplied to agreed specifications, in the same pack sizes above, or toll produced for packing into your own branded containers. Flexible batch sizes, volumes and supply options. If your blend is a hybrid of solvents and other liquids, please enquire as to the options we can provide. Waste solvents from your process can be removed to our licensed hazardous waste transfer station - subject to sample analysis and declaration. We are registered waste carriers and your solvent wastes can be consigned to us frequently and promptly upon delivery of fresh solvent. Should you require a unique supply, delivery or stocking arrangement – please contact us to discuss your needs.